Type Armchair. Material Structure in steel with elastic belting seat with injection moulded polyurethane foam. 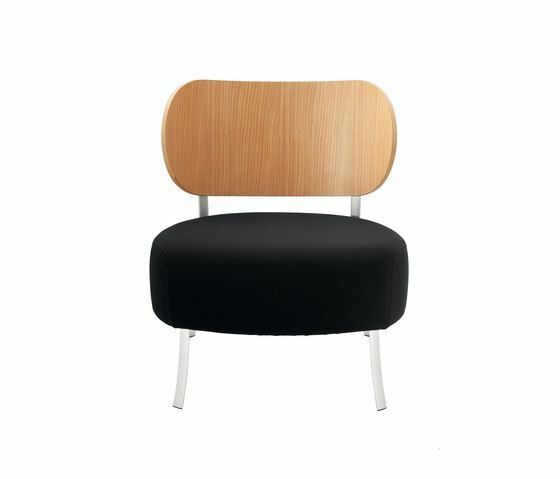 Back seat in birch plywood veneered with wengé or natural oak. Base Legs in satined anodised extruded aluminium profile, oval section. Finish/Covering Completely removable cover or fixed in leather. De Padova was founded in 1956, the year in which Maddalena and Fernando De Padova opened a small store on Via Montenapoleone in Milan, and decided to import Scandinavian furniture.